PORTLAND – A Western snowy plover chick that hatched on an Oregon beach this spring is the first of its species to emerge successfully in that area in more than 50 years and provides hope that a management plan for the federally threatened species is working, wildlife officials said Wednesday. The chick was the first hatchling spotted in the area along the state’s northern coast since the 1960s. Biologists spotted it around the Nehalam Spit using a viewing scope but have had a hard time getting a good picture because the tiny, fluffy chick is roughly the size of two cotton balls. The news is a sign that a recovery plan developed by state wildlife officials and the U.S. Fish and Wildlife Service is making headway in its goal to return the tiny birds to their habitat along the length of the Oregon coast without banning humans from the beaches, said Chris Havel, a spokesman for the Oregon Parks and Recreation Department. There are a handful of established plover populations in southern Oregon, but plovers on the northern coast have had a harder time. 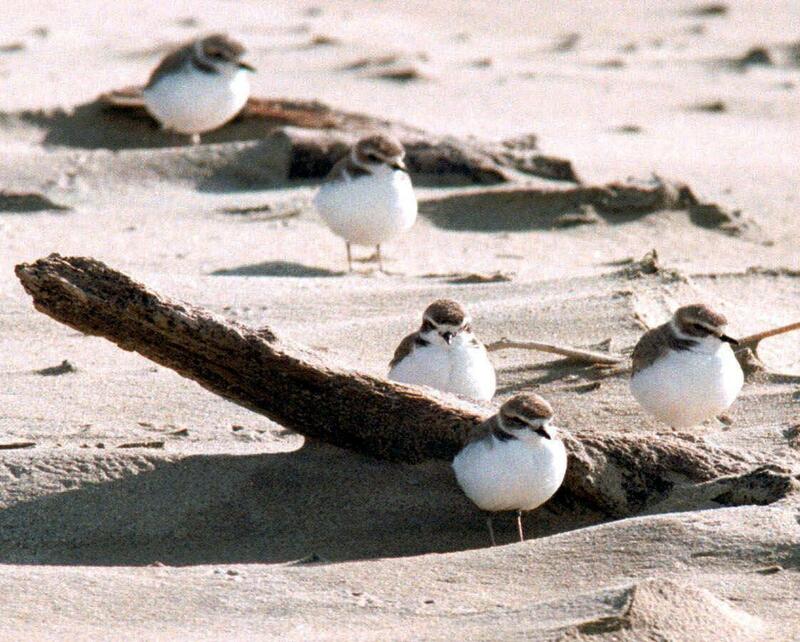 California and Washington state also have management plans for the Western snowy plover. “It’s hard not to get happy when you see … a little puff ball. Even the most hardened of us get a little maternal when we realize that something like this has worked and it worked in a place that we were managing and where we were ready for it to work,” Havel said. The birds are listed as threatened under the Endangered Species Act and are protected in all West Coast states. In 2016, a count estimated there were 518 resident Western snowy plovers in Oregon, the most recorded since monitoring began in 1990. A preliminary report in December listed 694 nests and 197 fledglings. About one-quarter of the nests were successful last year. Oregon entered into an agreement with federal wildlife officials that calls for the state to restrict beach activity in certain areas known to be ideal for the plovers in exchange for a pass from the federal government if a plover is accidentally killed in an area that’s not part of the plan. That arrangement is important for state parks officials because the plovers nest in tiny, shallow scrapes in the sand on beaches that are heavily used by Oregonians during the summer months that coincide with the nesting season. When they feel threatened, they freeze and hide in small depressions in the sand that can be as shallow as a human footprint and their brown and white feathering blends into the sand. In the 16 managed areas, the state ropes off known nesting areas during the March to September season, orders dogs to be kept on a leash and diverts bikers away, Havel said. “We wanted to be able to focus on those key areas. If they happen to show up at another beach, we won’t have to close that beach,” Havel said. Published: May 24, 2017, 3:47 p.m.